She’s only 11-weeks-old, but Kahlua is already doing something most human children can’t sit still to do – pray before dinner! 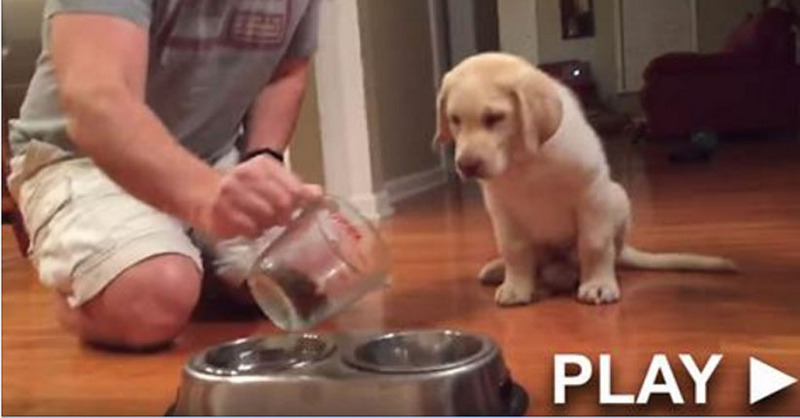 That’s right, this little puppy joins her owner in a pre-meal prayer before chowing down. What an amazing pup, and a very cool ritual for both dog and owner to engage in together! Great training, and so cute! No doubt a practice they will enjoy doing together for years to come. Share this cute dog with friends and family!